Aster furcatus of Michigan Flora. 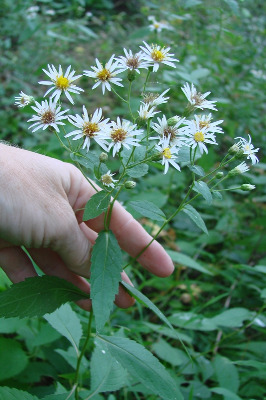 This is a rare aster throughout its midwestern range, from southern Michigan and Wisconsin to Missouri, in moist forests on calcareous soils, especially along rivers. It can form large colonies from rhizomes. The leaves are distinctly scabrous above and the rays normally white. Last collected in 1934. MICHIGAN FLORA ONLINE. A. A. Reznicek, E. G. Voss, & B. S. Walters. February 2011. University of Michigan. Web. 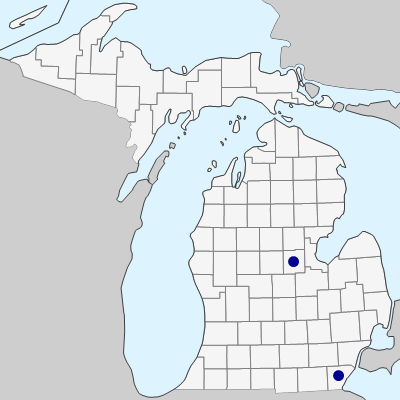 April 21, 2019. https://michiganflora.net/species.aspx?id=325.